Factory Direct Flag's and Flagpole! 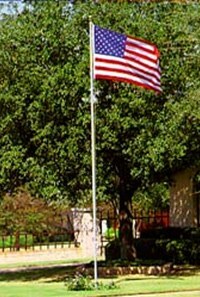 THE Absolute Lowest Flagpole Prices in The OKC Metro!! 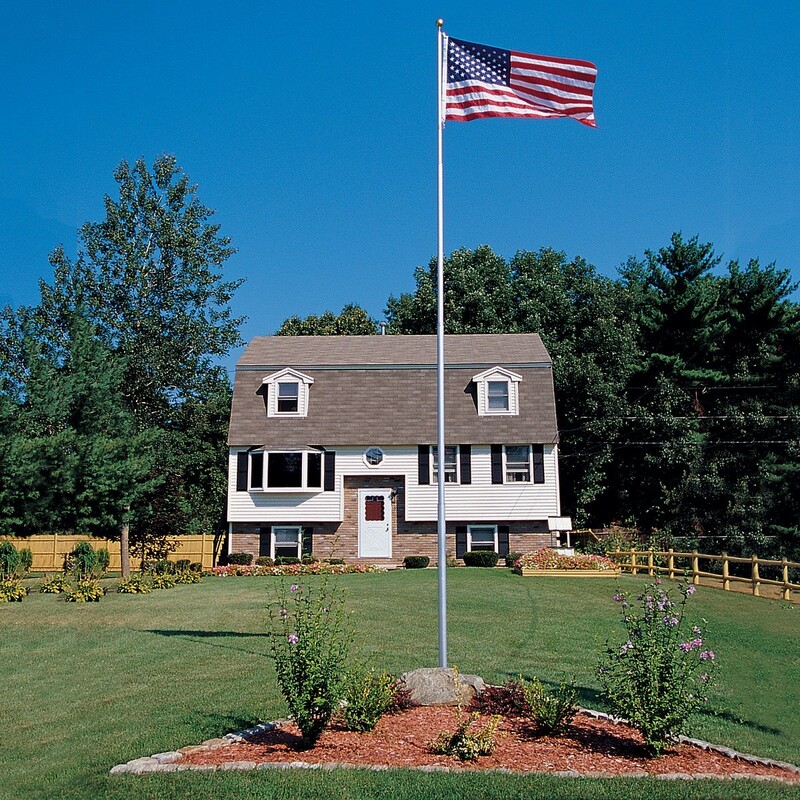 We stock both residential and commercial flagpoles. We buy in large quantities and pass the discounts on to you with NO shipping charges! 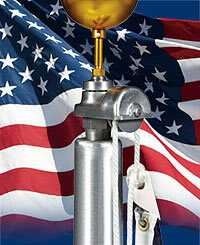 Installation can be done quickly with in-stock flagpoles and special orders can also be expedited to serve you fast. 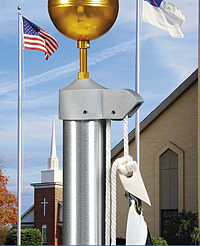 Flagpole parts are also readily available for any flagpole at our retail location. 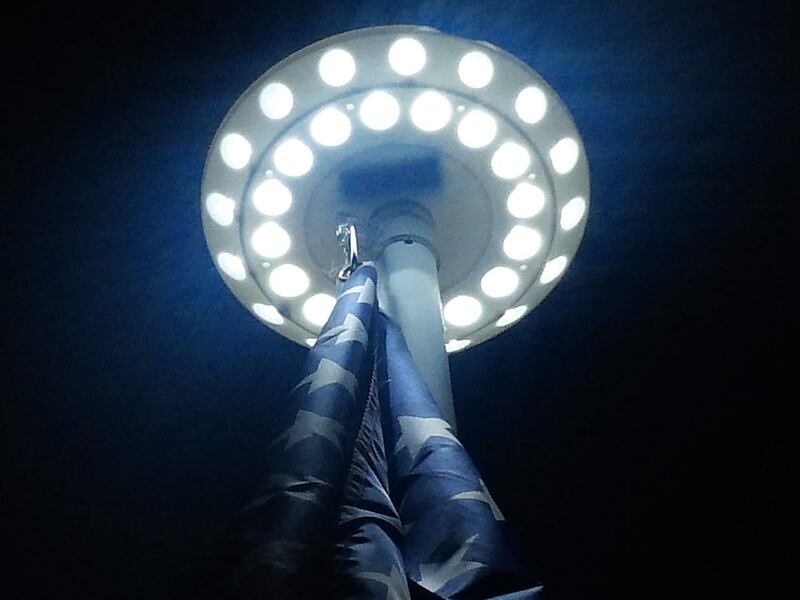 Solar lights that don’t interfere with the halyard rope to fit any flagpole up to 50′ are in-stock as well. Indoor flag sets are on display as well and ready for pickup. 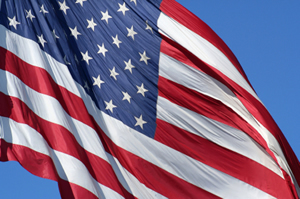 We look forward to meeting your flagpole installation needs Oklahoma City! Also see our Flagpole Deal’s of The Month! Optional Accessories For Your Pole! Let us Install it For You. Commercial External Halyard 20′ -80′ Starting at $519. 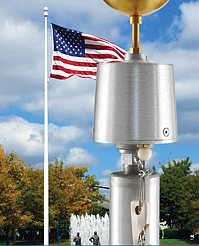 Telescoping Flagpole Available For $199 In Silver! We Are Your Source For Telescoping Flagpoles In OKC! Extend up to 20 feet easily in seconds. Telescopes down to 7 feet for maximum ease in adding or removing flags, or transporting the pole. Smooth, low-friction action that any adult can work with ease. Patented Feature: Pole sections lock into place automatically when extended – no need to twist or search for locking holes. 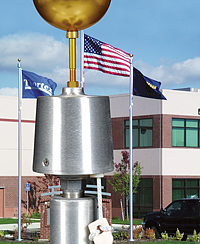 Exclusive Feature: Child-resistant “lockable” collars prevent accidental telescoping of pole. 360-degree rotating collars with stainless steel flag clips mean flags can fly freely, without tangling. Double harness allows lying two flags, or flying one flag at half mast. No ropes to tangle or loose hardware to bang noisily against pole. Maintenance-free, super strength high-tensile 16-gauge aluminum won’t rust, never needs painting. 2-5/8 — the largest in its class – for great strength. Easily installed in the permanent ground sleeve provided. Exclusive Feature: Locking sleeve collar helps prevent theft. Portable! Great for tailgate parties, RV’s, summer homes, etc. 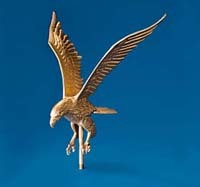 Optional accessories include a wheel stand, gold top eagle. 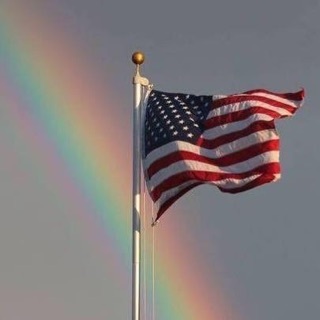 Complete US Flag Set As Pictured! Religious, State and Military Sets. Email us or call with any questions you may have. Prices subject to change!